The Society for Libyan Studies is a British academic body and charitable organisation, sponsored by the British Academy, which since 1969 has fostered links between British and Libyan scholars in a wide range of fields including archaeology, history, geography, the natural sciences and linguistics. The Society publishes a Journal, detailed reports on its field projects, and a popular series of books. 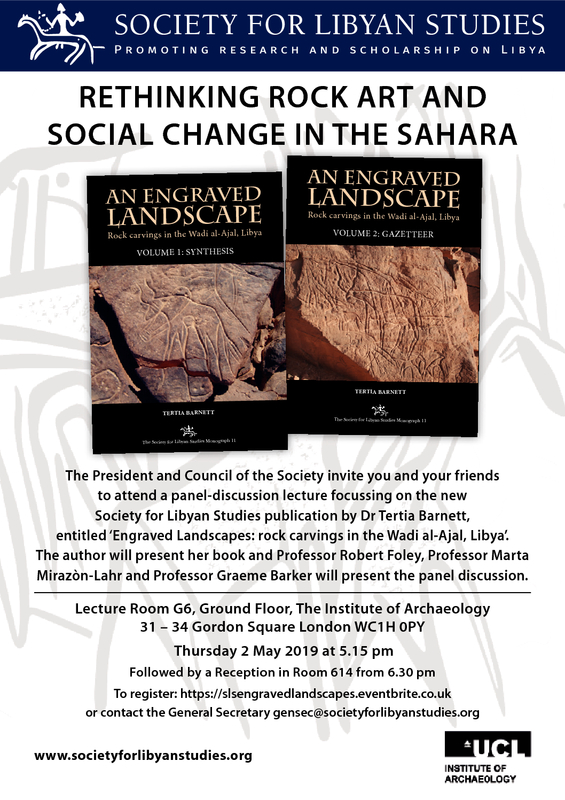 It also runs a series of lectures and other events in London on a wide range of topics relating to Libyan culture and heritage, which are open to the public. The Society is a Registered UK Charity, no. 259262.